How do speeches contribute to leadership? In the business of leadership – whether it’s politics or business or community – speeches don’t stand alone. After all, leaders communicate in all kinds of ways. They issue internal memos, or news releases. They announce staffing and resource decisions – a takeover, a factory closure, some outsourcing. They release half yearly results, complete with PowerPoint slides. They are interviewed on radio or by a newspaper. They choose to decline some social functions but appear at others – whether it’s flashy dinners or staff BBQs or charity functions. Each of these decisions and actions tells us something about this leader – what their values are, what is important to them, what priorities they are pursuing. So speeches are certainly only one of the vehicles of leadership. But they are an important vehicle, because they are a way for leaders to tell us stories. And stories are the most compelling communication of all. Speeches provide a sustained opportunity for our leaders to tell us who we are, where we have come from, and more importantly still, where we are going. And that is important to employees, investors and customers. I'm busy: why should I bother giving speeches? Sometimes inexperienced leaders think giving speeches should be way down their list of priorities. It seems like so much work for so little return. Behind this lies another, deeper reason: giving a speech makes the speaker vulnerable. A new leader imagines him or herself all alone, on that podium, exposed. Surely there are other less stressful, less risky ways to communicate with stakeholders – why not just use media interviews, or press releases? But giving speeches is a core part of the communications function of the leader and it should legitimately take up his or her time and resources. It is not a secondary function of leadership, but a primary one. A speech should not be seen as a burden, but as a powerful opportunity. The mere act of walking up to that podium and looking around the room is a statement. It says everything about your sense of confidence, ownership and responsibility as a leader. The act of preparing that speech is a discipline, both requiring and helping you to find a narrative for your strategy. It can also drive the resolution of conflicting and competing visions within the business. You are taking charge of the time, the space and the moment. At last you have an unobstructed opportunity to tell your story, the way you want to, without interruptions or wilful misinterpretations. You can create a unified understanding of your vision and strategy. You can reveal your reasoning, convey your personal style, and extrapolate your vision. You are providing a coherent and consistent form of words for your staff and stakeholders to use in their own communications. My favorite speeches delivered by Barack Obama were not the campaigning addresses that made him famous. My favorites are the sober, tough, mature speeches he gave on election night and at his inauguration. They were the speeches of a leader, laying out a hard but necessary vision for the rebirth of America. It’s the logic which makes a great speech – the power of the argument. Whether it’s Abraham Lincoln’s Gettysburg address, or John F Kennedy’s inaugural address or Nelson Mandela’s courtroom speech, or Martin Luther King’s "I have a dream" speech or Winston Churchill’s World War Two speeches – in all these speeches the language was marvellous, but it was the power of the logic which made them great. Great Australian speech writer Graham Freudenberg wrote in A Certain Grandeur that as far as Prime Minister Gough Whitlam was concerned, “His standing instruction and his standard complaint to people preparing speech material for him is : “More matter and less art.” * In other words, a speech must never try artificially to generate emotion. It must have genuine weight and substance. Nothing drives me crazy more than marketing people or glib spin doctor types who want to turn speeches into collections of sound bites. One executive wanted me to sprinkle the phrase term “it’s amazing” throughout the CEO's speeches. She said that this would help reinforce the messages of a forthcoming advertising campaign: I vigorously resisted attempts to have the CEO reduced to the delivery of advertising slogans. * Graham Freudenberg. A Certain Grandeur, p67 1977 Macmillan Co. of South Australia. No matter how much the speech writer contributes to a speech, it belongs to the person who delivers it. The speech belongs to its giver: he or she earns the praise, and if it’s going to happen, he or she takes the blame. This may sound biased, but in my view it’s not a cop-out for people to use speech-writers, it’s usually a sensible allocation of time and energy. 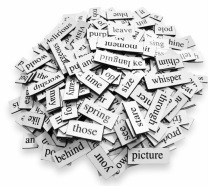 A speech writer’s task is to help their busy client communicate their messages in the most effective way. In my experience the collaboration between the speech writer and the speech giver can be an illuminating and rewarding process. Often I find that busy senior executives lack time to reflect. They have a plan, but don’t know how to talk about it. The proof of this is often seen in PowerPoint presentations which are, inevitably, a series of lists and not a description of a strategy or plan at all. There’s another factor. The numbers and analysis are important, but they’ll only tell you about the past. Good business decision making is about making calculated assessments about the future. Here is where the speech writer can help. Sometimes I will sit down with an anxious leader who can’t really tell me what they want to say. So we go back to basics. I ask them: what is your priority? How do you spend your time? What’s the biggest threat or opportunity? Where do you see the business in five years? Suddenly we’re talking, and we’re thinking in bigger, broader frameworks. Often I see the strategy arising from a series of decisions, not the other way around. I have written speeches for people in a very orderly fashion. It’s worked like this: they brief me broadly on what they want to say. I prepare by reading their previous speeches on the topic, to get a feel for their style. They send me specific content, or numbers, or examples to fill out the argument. I draft the speech, they amend it, they deliver it. Easy. But far more often, it’s not like this. Sometimes senior people are in the middle of complex business negotiations, meaning the speech is constantly being overtaken by events. Finalising the speech takes place in a great flurry right up until the last minute. On one occasion I faxed the final version of a speech to a very senior business leader in Perth as she was running out the door to the dinner. Then there are the times the person giving the speech is just too busy to focus on it until the last minute, or the topic gets changed suddenly, or a media report changes the political environment– and all these things invariably lead to sudden turnarounds. Sometimes to a new speech altogether. The process always improves as the client and the speech writer get to know and trust each other. The first few speeches I do for someone normally require a lot of input from them. I need to know how and why they think, what they care about, how they like to talk, what they want to achieve. But once I know those things, it’s relatively easy for me to devise good first drafts. That reduces the pain a lot. How do I commission a speech? My fees are based on two things: whether the client is a corporate or an individual and the time it takes to complete a speech. I don’t base my fees on the word length of the speech, because a short speech may be even more challenging and time-consuming than a long speech. A major ANZAC Day speech or the introduction to a Prime Minister can be career-making opportunities. Every word needs to be perfect, and this can take considerable time. A solid draft of a major speech will take no more than three days and completion no more than six. But the usual length of time in total for completion is between two and three days.